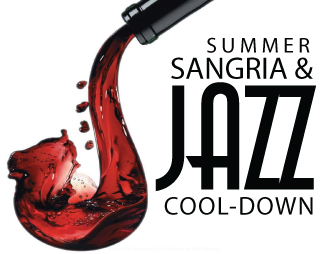 Take a break from the heat and join us for our Summer Sangria & Jazz Cool-Down! Our tasting room will be offering special batches of Sangria made with our award-winning wines. Relax with bistro-style seating in our main events room with entertainment from Joe Burlison's Uptown Jazz! Order a gourmet cheese and charcuterie board or get some delicious local grub from area food trucks. Local artists featuring fine art and photography will be displaying their works throughout our event rooms. The tasting room will be open for wine tastings and will offer sangria by the glass, wine sales by the bottle and glass. Make plans now to visit our Tuscan-style winery and enjoy an afternoon in the Houston Hill Country! Take a break from the heat and join us for our Summer Sangria & Jazz Cool-Down! FREE ADMISSION for Bernhardt Winery customers!! !